ITEM TWELVE: The Cheese Knife. There is a world to cheese knives that if I as a food photographer had a cheese client I would gladly get into, but as the New Dish Collection is something of a thirty-dish overview, my new 25 cent cheese knife will suffice for now. 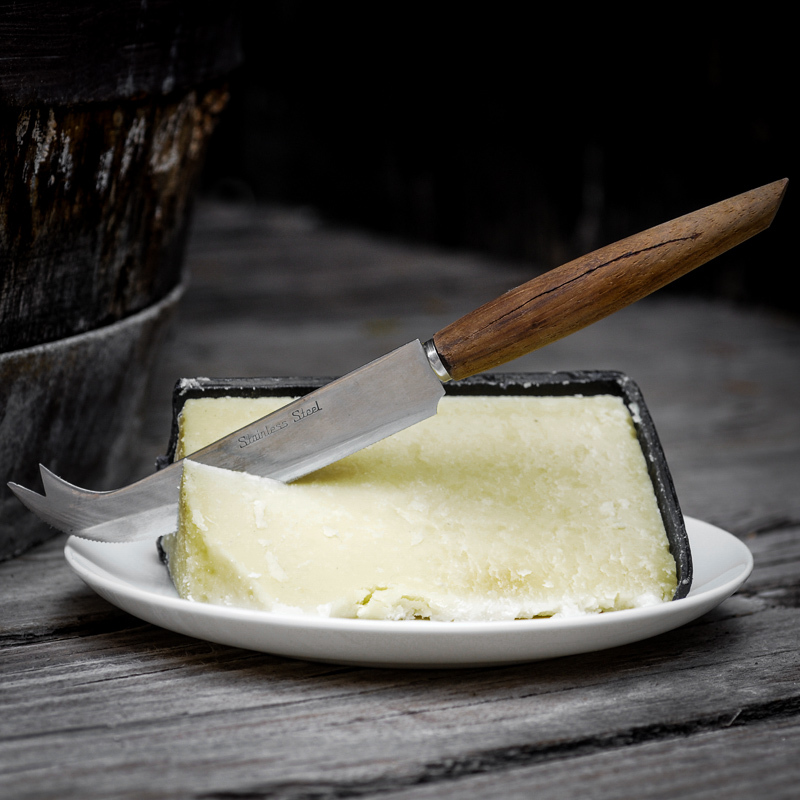 These knives are paired with the hardness of cheese and often have a shape honed over time. In this case, I’ve paired this with an Irish Cheddar that looks at home next the wood barrel here on the plaza in Old Town, Albuquerque, New Mexico.